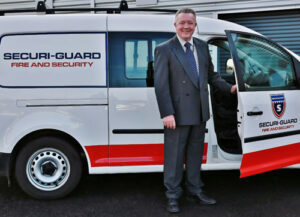 Securi-Guard has strengthened its business development operation with the appointment of experienced industry professional Garth Timberlake. In his role as Business Development Manager, Garth will focus on the fire services offered by Securi-Guard with the aim of building new client relationships for the company and securing large scale project work. Garth has been tasked with forging closer links with a range of construction and other cross sector businesses. Key construction targets will include building service engineers, electrical contractors and mechanical and electrical consultants. Alongside this work he will also look to identify further business opportunities with key end users, such as local and county councils, Ministry of Defence, as well as the education and health sectors. The job marks a welcome return to Plymouth for Garth who was born and bred in the city, but for the past 13 years has been working in London and the South East. Garth began his working career with the Ministry of Defence at Devonport in 1967 as an electrical fitter and spent 18 years there. His fire and security experience began in 1988 with a regional sales manager role at a fire and emergency lighting company. After further sales and business development roles with a number of fire and security companies in the region, Garth was offered the chance to relocate to the South East and London in 2003 working as both a business development manager and latterly as a project manager. 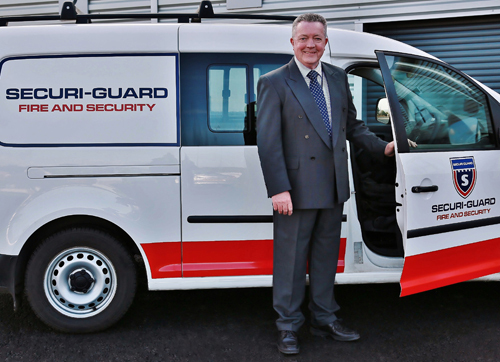 Bob Truesdale, Fire and Security Systems Manager at Securi-Guard, is delighted Garth has returned to his home town – and said he had a key role to play in client engagement. “Garth is well respected within the fire industry and has a wealth of sector knowledge that will be hugely beneficial to the business,” said Bob.